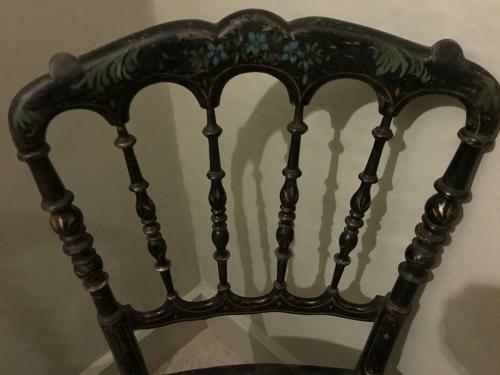 Very pretty Edwardian occasional chairs with floral painting and gold detail. Very striking for a bedroom, bathroom or hall etc. Two available.